The Traditional Doorknob: Often round but sometimes square or polygonal, traditional doorknobs come in several different styles and finishes. You can personalize your door by choosing a doorknob that is sleek and elegant, or playful and fun. Glass Knobs: As a creative twist on the traditional knob, glass doorknobs can be crystal, ceramic or even stained glass. They can be rustic or artistic and can fit in with both country and modern homes. 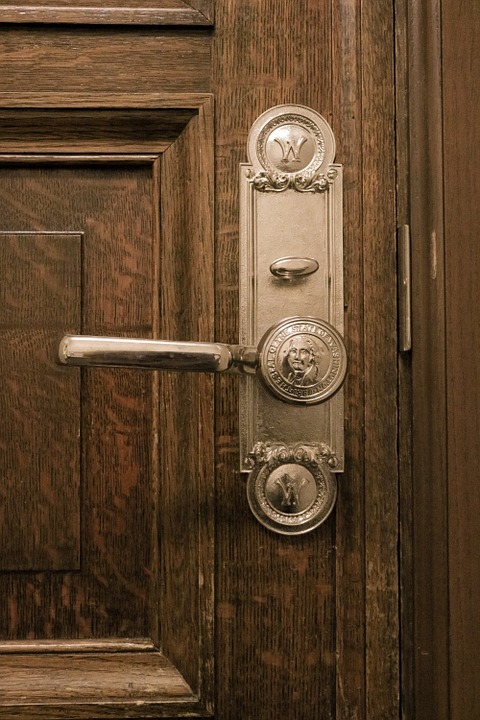 Lever Handle: Easy to grab and great for arthritic hands, lever handles are a user-friendly alternative to the traditional doorknob. They require no tight grasping or rotating and are convenient if you’re often coming through the door with your hands full. Handleset: There are 4 basic types of Handlesets, including passage lockset, privacy lockset, keyed entrance lockset, and dummy. Determine what kind of security you’re looking for, and then choose from the infinite different styles and finishes. Get Creative: Don’t be afraid to stray from these traditional styles and go with a knob that truly expresses your unique personality. As long as it’s functional, anything can be turned into a doorknob. Check out this nifty knob for inspiration. Affordable Door wants all of their clients to know that they aren’t limited to a certain kind of doorknob. Personalizing your door is a great way to express your unique style. Give them a call at (651) 257-8731, or visit their website to learn more about door parts and their door installation services.